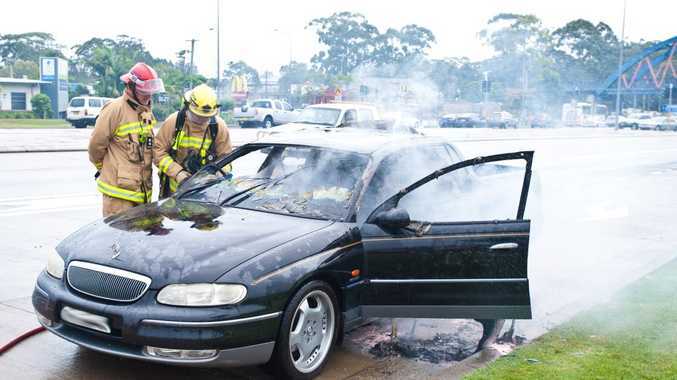 A CAR that caught fire on the Pacific Hwy in Coffs Harbour caused minor panic on Wednesday afternoon. A reader captured the incident on his phone after noticing smoke billowing from the vehicle while driving in the northbound lane of the Pacific Hwy near Park Beach HomeBase about 4.25pm. Fire crews attended the scene shortly after and extinguished the flames.